Yu-Gi-Oh! Championship Series Pittsburgh is finished and we finally have a winner! 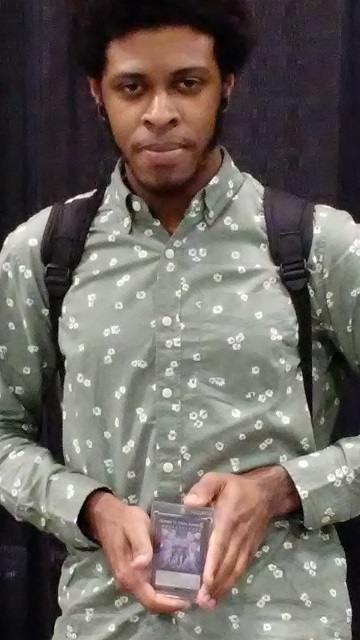 YCS Denver is finished, and we finally have a winner! Here are the winners of the 3 vs. 3 Team Dueling tournament! It’s Team Brocean (that’s Bro Ocean by the way), with Brian Stevens, Timothy Gorelick, and Joseph Staskey. 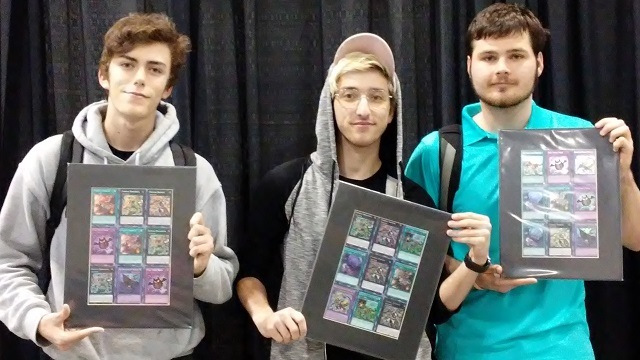 For their collaborative win, they each have won an uncut 3×3 sheet of Secret Rares from Raging Tempest. Congratulations! 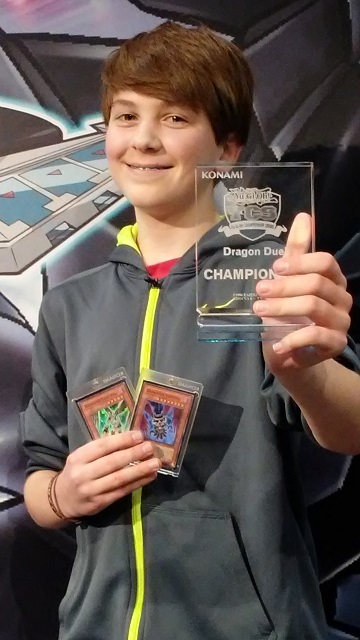 Here he is, your YCS Atlanta Dragon Duel Champion, Jackson Sayre! He won today’s Sealed Dragon Duel tournament, then used his Zoodiac Deck to overcome Tommy Armour’s Blue-Eyes Deck and take the title! In addition to this awesome trophy, Jackson is taking home the YCS Prize Cards Darklord Asmodius, Darklord Superbia, and Darklord Edeh Arae!